Supplier & Trader of Circular Saw. Our product range also comprises of Rotary Hammers, Demolition Hammers and Impact Drills. 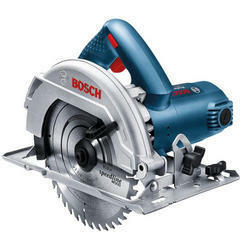 From the first day of our inception, we have been able to wholesale, trade and supply the best quality of Bosch GKS 190 Professional Circular Saw. For the purpose of cutting metal, plastic or wood, the offered circular saw is highly demanded in various industrial or commercial applications. Offered by us at most competitive prices, the offered circular saw is known for its excellent cutting speed. 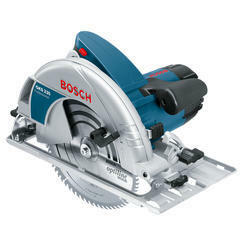 Keeping the track of latest happening in this domain, we have been able to supply and trade the best quality of Bosch GKS 235 Professional Circular Saw. Known for its optimum cutting speed, high performance and thermal stability, the offered circular saw is used to cut wood, plastic or metal. With the aid of our rich vendors’ base and excellent warehousing facility, we offer this Bosch circular saw in bulk quantities. Owing to our rich experience and industrial knowledge, we are engaged in supplying the optimum quality of Bosch GKS 7000 Professional Circular Saw. Ideal for cutting various metals, woods or plastics, the offered compact circular saw is highly demanded for its optimum performance, less power consumption and high cutting speed. 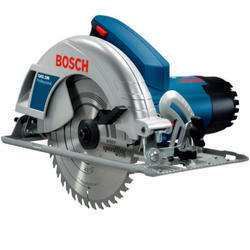 The offered compact circular saw is delivered within the assured time frame at the clients’ end. 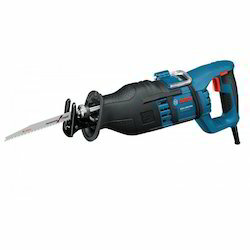 Backed with years of experience, we are established ourselves as top notch supplier and trader of the finest quality of Bosch GSA 1300 PE Sabre Saw. It is used for cutting of various materials, owing to its excellent cutting efficiency. Besides this, the offered sabre saw is appreciated for its high cutting speed, robust construction and high functionality.